Not sure if you want to shell out your hard-earned dollars without seeing the book first? Here you can read the comments of folks who are already enjoying their copies. OK, I've finished reading *Practical Pionus* cover to cover, and I had to say SOMETHING, like bravo, what an opus! The words that keep coming to me are "holistic" and "whole." The book does for parrots what social work did for psychology. Let me explain - I got my bachelors in psychology, which is very interesting but a rarified, narrow and incomplete sliver of reality. Then I studied social work, which says we're all systems, or a wheel with many spokes, and if you move one spoke you move all of them, and you can and should study the whole person in her family, community, world, and THAT's what the book does with parrots. I don't know of anything else like it, or anyone with the field experience to tell it. I thought I knew a good deal, but Mikko on my shoulder being tantamount to working a shift, that's new. I also appreciate having to locate one volume now instead of doing multiple internet searches, to find less, when I need an answer. Hey Russ, I knew you'd do a great job and you did even better. I've finished Russ's book and I have to say that it's the best source of information I've found yet and not just for pionus. Its the first source I've found that compares behavior of birds in the wild with birds in captivity with the added benefit that it's in language that 'Joe on the Street' can understand. All of a sudden I'm looking at my birds and their environments in a totally new light. I'm watching them with fresh eyes and making changes to the way I interact with them and seeing instant subtle changes in the birds. 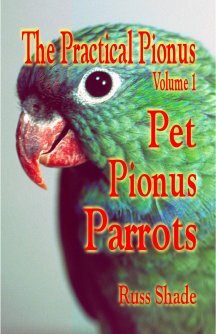 I plan to recommend the book to everyone I know, pionus owner or not. Its an invaluable source for people who want to learn to think like a bird and to understand where their companions came from.  I can't thank you enough for making this information available! I have only read 1/2 the book so far, but I had to say THANK YOU! Finally someone takes the time to write more than two sentences on male pionus parrot hormonal aggression. I had learned how to deal with it, but now I really *understand* it. That understanding is what is going to help improve the relationship between the rest of the family and our male pionus parrot. Recieved my copy on Feb. 21 have read it through and would recommend it to all owners and potential owners of a pionus parrot.Interesting to read and really good information and insight. After raising 5 kinds of pionus over a few years and living with some as pets I couldn't disagree with anything you wrote.CONGRATULATIONS!!!! Wonderful book. Fantastic cover photo! If that isn't the sweetest face ever, I don't know what is. Now I have to figure out how to work the DVD player -- thanks SO much, Russ. And many thanks to your lovely bride for getting you involved and supporting you through all of this. We and our birds are all the richer for it. I started reading from the beginning and forgot to put the cookies in the oven. Very easy to read and very informative. When you have a Pionus, (at least this is my experience) you tend to think you know a lot more about your bird than you really do, and it is great to not only be reassured about the things I am doing right, but also to be 'gently' pointed in the right direction where my caregiving needs improvement. Got my copy when I got home from work today. I'm trying to read and cook dinner at the same time so if the house burns down I'll be in the car with my nose in the book! LOL!! Seriously, I'm really enjoying it. Very well written and a good read. Hopefully something good will be on the tube tonight and I can sack the whole family down and keep reading!! Have to say, Russ, it is a brilliant book - it has far exceeded any expectations and having already read halfway through the book, I have been educated much more than previously. We have all the Pionus books ever printed, including the Stoodley book - we thought that was a good book, but yours Russ is an eye opener and the first book I have read which discusses Pionus behavior in such depth. Thanks so much for the wonderful book. I received it Saturday and have read all weekend. It has great information in it. I was so surprised to find the DVD with it. I loved seeing all the different pictures of the Pionus. The wait was well worth it. GREAT JOB! !